Do you remember what you were doing when you were 18? 'Cause I do, and I was most definitely NOT planning a wedding. 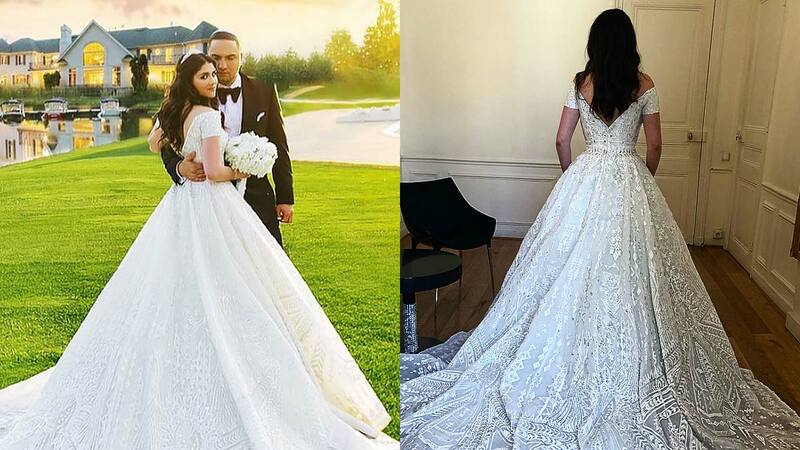 But apparently that's totally normal these days: 18-year-old Russian heiress Irina Chigirinskaya got married to 23-year-old Moris Mirelli and the wedding was incredibly lavish. Irina is the daughter of billionaire construction tycoon Alexander Chigirinsky and Moris is the son of a former deputy governor in Russia. According to the Daily Mail, the entire wedding rang in at around $1.6 million (or P85 million). Irina's wedding dress was designed by Zuhair Murad. Its estimated cost is around $219,000 (P11,600,000). The couple celebrated their love with a dramatic, choreographed dance. Can you believe this cake?! And the guests dressed to impress.